Last year, RMC’s Environmental Club brought solar energy to the Bair Family Student Center – made possible by the leadership of senior Renee Seacor as the mind of the project, and with the contribution of generous donors that provided a total of $68,676 in funds. The solar panels save the college approximately $1,800 every year in energy costs, and have become the spearhead example of the club’s mission of increasing the environmental sustainability of Rocky Mountain College and the Billings area. Now, with World Water Day (WWD) fast approaching, RMC’s Environmental Club is working with the local organization Hope2OneLife to host the annual event on the college campus. Set to take place on the morning of March 28, WWD will feature an interactive walk with educational information, demonstrations, and crafts – all to celebrate the role of water in our lives and the importance of its conservation. Helping with the organization of WWD is not the only way the Environmental Club aims to promote the effective usage of water. Thanks to funding provided by the Associated Students of Rocky Mountain College (ASRMC), a new water fountain will be installed in the Bair Family Student Center. This new fountain adds to the previous two that were installed by the club last year in the Fortin Education Center and Morledge-Kimball Hall. 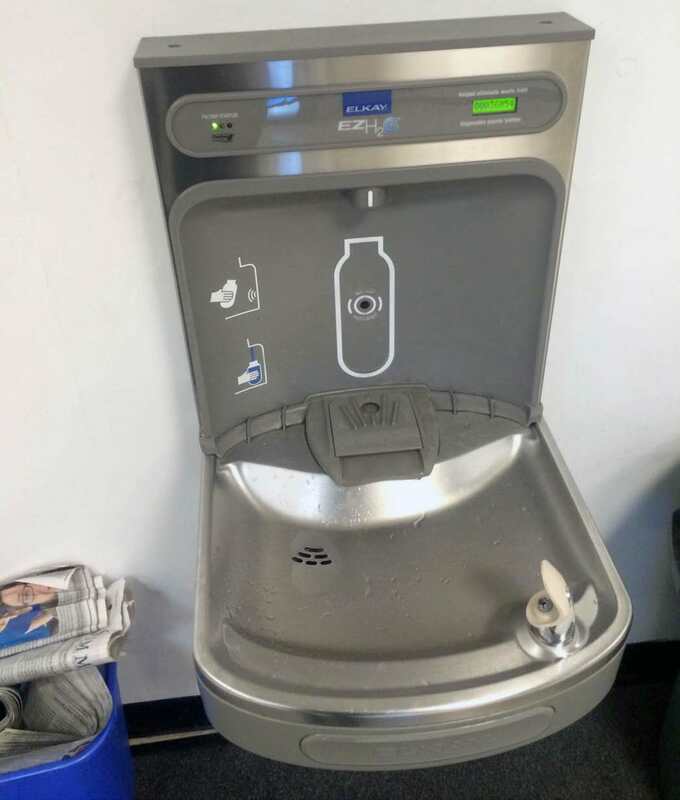 These newer water fountains feature water bottle filling stations, and will provide an incentive for students to carry and refill their own water bottles, reducing plastic waste and student expenses. Looking ahead, the club plans to focus on streamlining the recycling program and developing the BikeRMC project to include construction of bike shelters and the launching of a bike rental program. Just last week, the program received a donation of two bikes, bringing the total number of BikeRMC bikes to four. These bikes will be tuned-up, painted, and outfitted with locks so that they can be put to use as soon as the program is implemented. With these projects, the Environmental Club aspires to push Rocky Mountain College closer to being a leader in reducing ecological footprints and to being a source of positive change for the community.